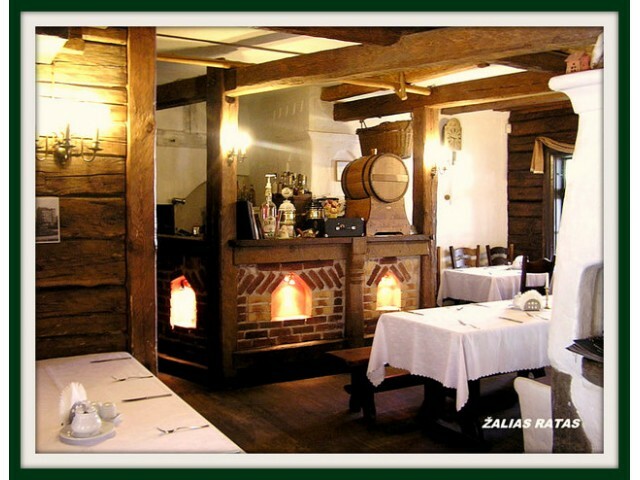 All guests of Kaunas are welcome to visit the restaurant “Žalias ratas” and see with own eyes why from the old times gastronomy is considered the first of the arts. This old wooden house has been famous for many years. 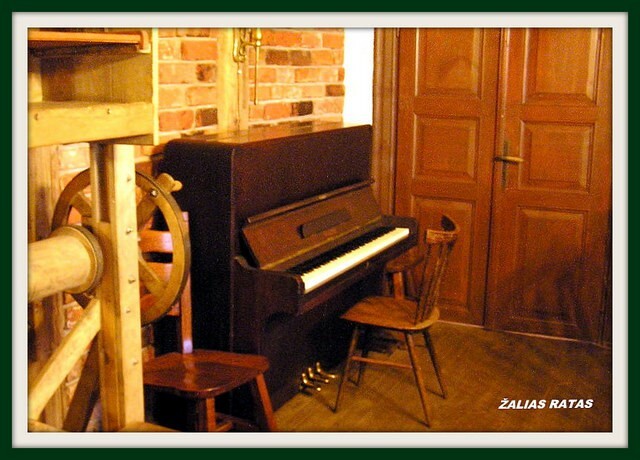 Over 100 years ago, it was the residence of the Kaunas Governor, whereas now it is a good restaurant. 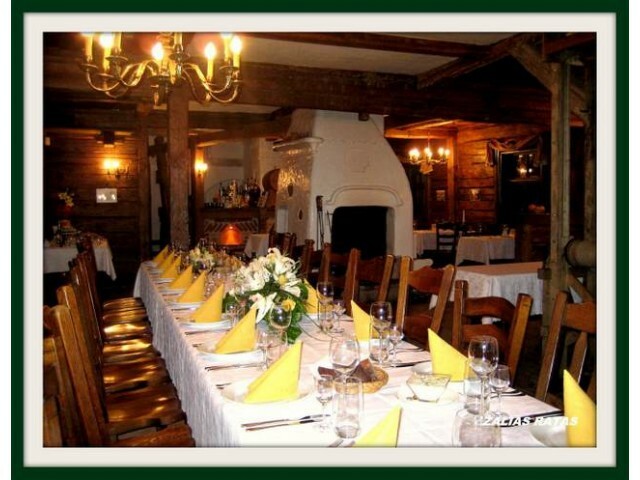 Just enter the restaurant and take pleasure in original ancient interior, attentive service and silent music. 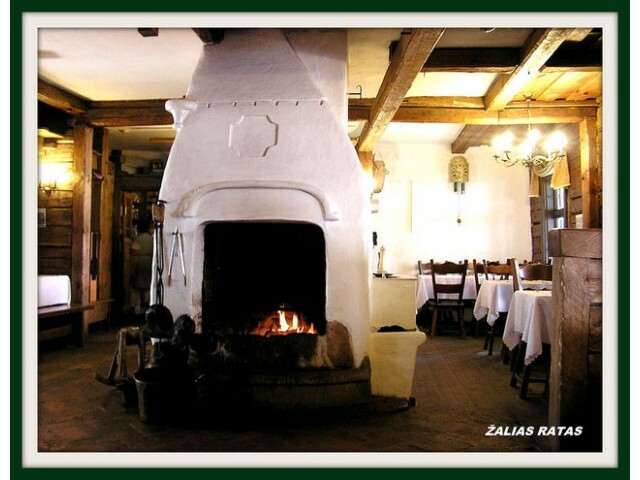 Enjoy delicious roasts of exclusive taste directly from the ancient stove located next to you. 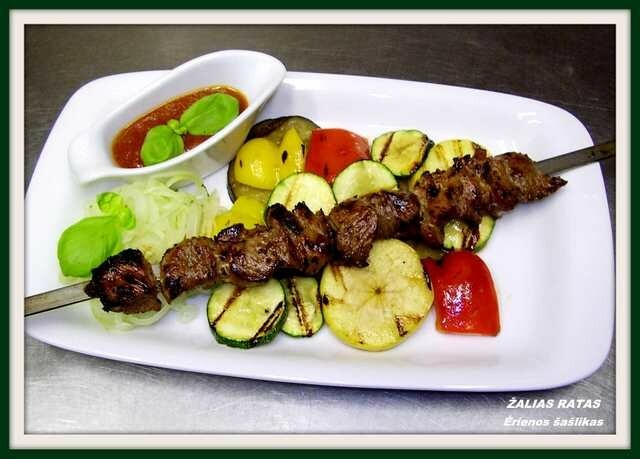 Just in a few minutes, we will offer you special appetising dishes to ensure you solid meal and perfect well-being. Daily lunch time: 11-15 hours. Working hours on weekdays: 11-24 hours. 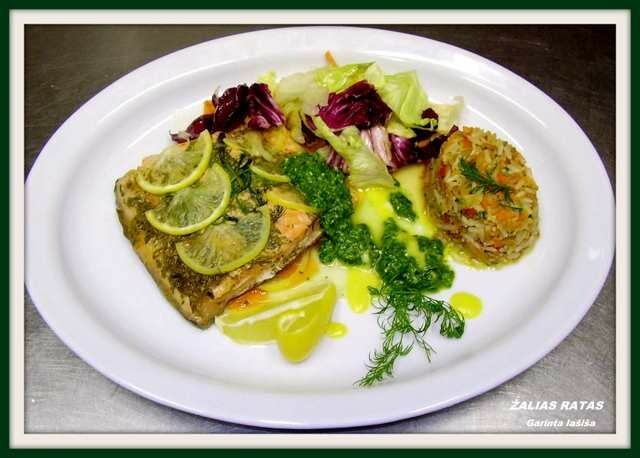 Opening hours weekends: 11-24 hours.